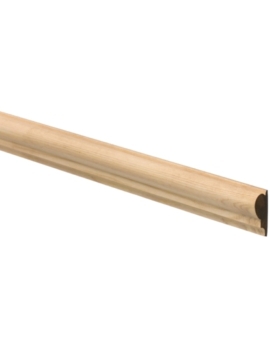 At Build World, we carry six types of dado rail. Each type is made from the best Finnish forest logs that have been harvested over many generations. Our stringent ecological tests and quality control ensure that each piece of rail is of the highest quality. These are yet another kind of timber mouldings that find application in construction of interior home decoration. 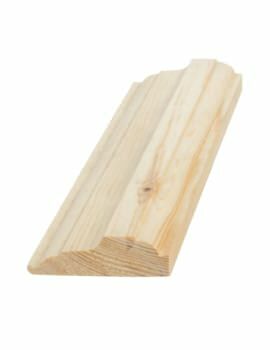 Normally made from slow grown Redwood Pine from the northern Scandinavian forests, these have a tight grain for immense stability. 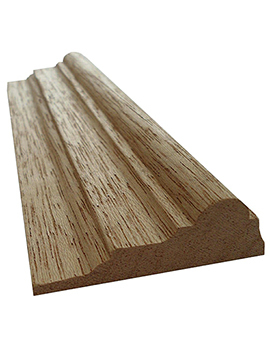 Buildworld also supplies dado and picture rails, made from pre-primed MDF decorative moulding. Precision engineered, MDF dado rails are ideal for use as horizontal dividers on walls. We advise appropriate safety measures when working with this moulding. Stain and paint ready, they offer well-defined profiles for a high quality appearance. The word dado is one you’ll hear often in home design and construction. It refers to the lower part of a wall, generally, the lowest one-fifth of the wall’s overall height, which is often covered in decorative wallpaper, paintwork, paneling, or wainscoting as a form of protection. In earlier times, the dado rails were used to prevent damage to the wall coverings from back of chairs and therefore the height measured approximately the same as that of the top of a chair back. A dado rail (or chair rail) is what denotes the top of the dado. 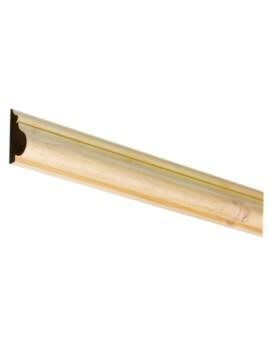 Specifically, dado rail is a form of moulding that affixes horizontally to the walls of a room approximately 60 inches from the floor above the dado treatment. 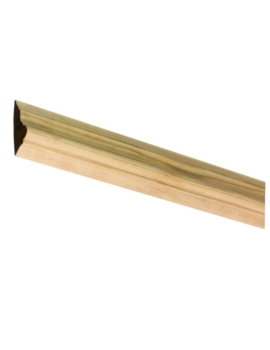 In some cases, the dado rail is affixed even when the full dado treatment is not present. This is often the case in schools and hospitals, where that area of the wall gets a lot of wear and tear. In these cases, the dado rail is a form of protection. Dado rails for the home will naturally warrant different quality and style than those meant for commercial use. Therefore, style should be your first consideration. Additionally, keep in mind that thin dado rails are more discreet than their wider, more ornate counterparts and make less of a bold statement in the room. When purchasing dado rail, you should also consider whether or not you’d like an ornate moulding or a more basic design. Naturally, simpler designs cost less. You’ll also want to think about how high you’ll be putting your dado rail in relation to the width of the rail and where your furniture will sit when against the wall. Finally, remember that all of the rails we carry can be painted or finished to meet your design needs.